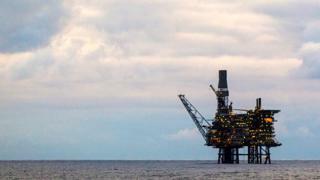 A gas leak from a North Sea platform is being investigated. Chevron said the release on the Alba Northern happened on 3 February. There were no injuries or evacuations. The Health and Safety Executive (HSE) confirmed an 80kg gas release was reported, and the incident was being investigated. The platform is 130 miles (210km) north east of Aberdeen.